© Martin Roeck. All rights reserved. Photo captures deer near the Mount Madonna summit. This was taken on Nov. 18, directly following/during the Butte County wildfires. The consequent smoke beautifully captures the sunset, producing several colors across the horizon. 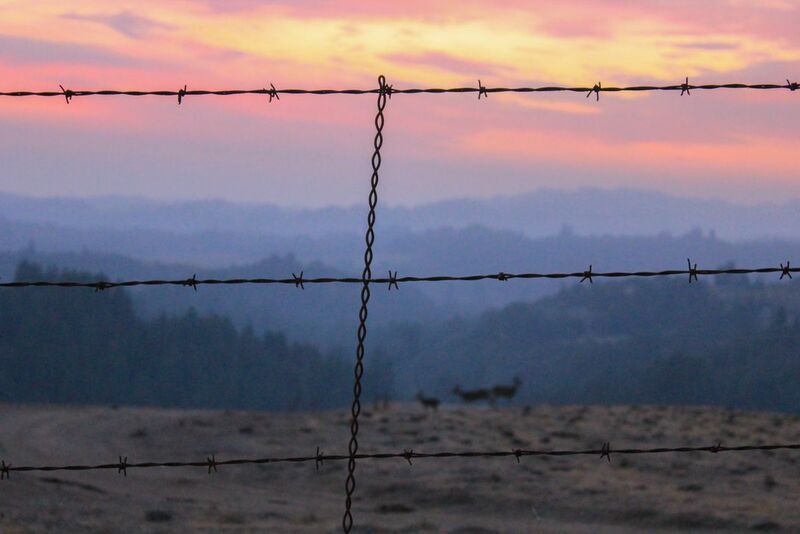 The deer are overshadowed by an immediate razor wire fence juxtaposing freedom and subjection. Date Uploaded: Nov. 22, 2018, 2:15 a.m.